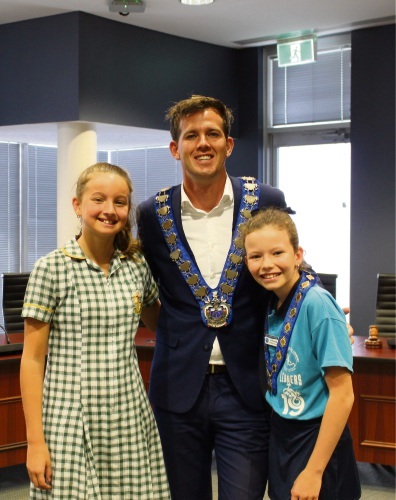 SOUTH Halls Primary School student Lilli Richards is the new junior Mayor of Mandurah. Her deputy is Penelope Stone from Frederick Irwin Anglican School. The two were chosen at a ceremony at the City of Mandurah last Thursday. This year, 23 junior councillors nominated for the positions and each candidate gave a one-minute pitch about why they should be chosen for the top job. 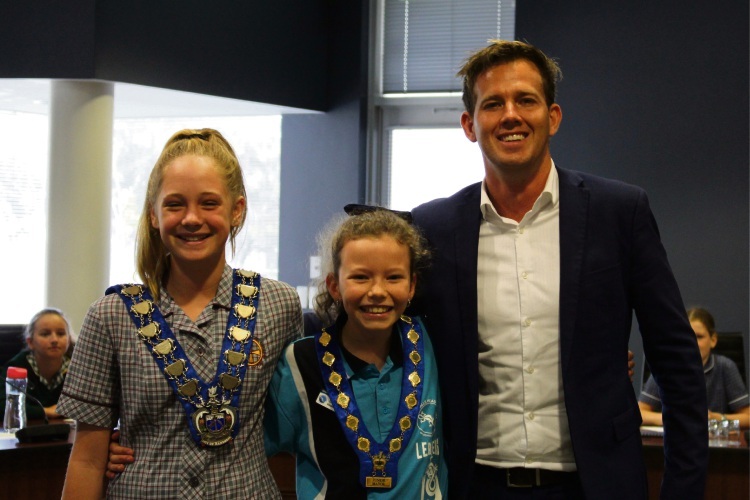 Mayor Rhys Williams with junior Mayor Lilli Richards from Halls Head Primary School and deputy junior Mayor Penelope Stone from Frederick Irwin Anglican School. Mayor Rhys Williams said the junior council was a unique initiative that gave young people a chance to learn about local government and voice their opinions. “As a former junior councillor, I understand the value of this special program and believe it is a great platform to nurture young leaders,’’ he said.